Carl loves public transportation. One of the reasons why we love our place right now is that it is very convenient to buses and trains. He takes the bus to work, grocery stores, and to get around the area. 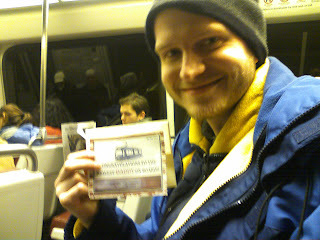 So I could not think of a better way to tell him of some wonderful news than while on the train on our way to a WMATA (Washington Metropolitan Area Transit Authority) meeting on January 6, 2010. I met with him at the train station later that day after his work to attend the WMATA meeting. After asking how his day was, I gave him the mail we had gotten that day, including the card we got from Mom Sorenson. I told him that he had another card and handed him an envelope. 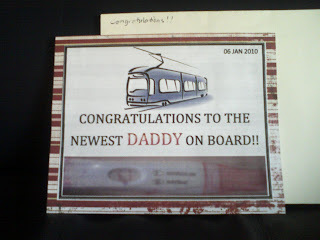 He was very surprised when he opened it and read what was written on it. I loved the smile on his face—I could tell that he was happy. His reaction was precious, I loved it!! And yet, that was not the ultimate surprise! We got a much bigger and double, yes double surprise when we saw the ultrasound on my first prenatal check up. Oh yes, not one but TWO!! "Do you have space?" I get that question a lot from people. 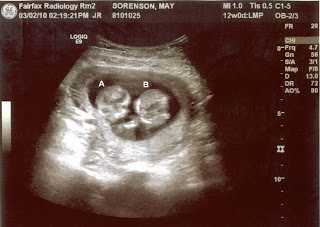 I asked that myself as well when I found out that we were having twins. 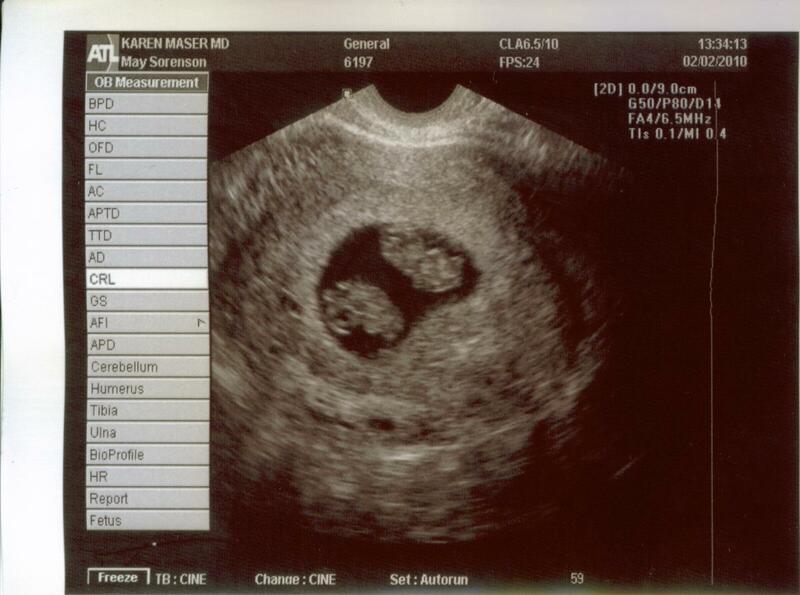 It was a bit scary and overwhelming, but we felt really blessed.